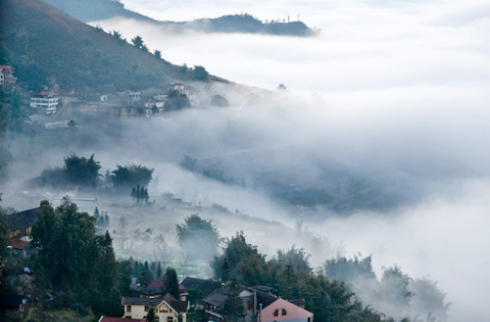 Our first trip with Active travel was the Sapa valley trek homestay with ecolodge option. Everything was handled very professionally for this by Active Travel Asia. We were picked up by an agent at our hotel exactly on time and they actually escorted us right onto our train for our night trip to Lao Cai. The train station at Hanoi can be somewhat intimidating and getting tickets can be frustrating so this was really appreciated. Our guide and driver were waiting for us when we arrived in Lao Cai. They drove us to Sapa where we had breakfast and then our guide, Duc, took us on a walking tour around Sapa. Duc spoke very good English and he was very informative and receptive to all of our questions and needs. We then did a short drive to a trailhead and our trek began . If you want to get away from the tourist horde then you really need to go with a guide and be prepared do some walking. The tourists really thinned out after a couple of hours. Our first night of homestay was excellent, great food, nice sleeping quarters and even a hot shower! Duc prepared all of our meals for us and was an excellent cook! Our next day was 7 hours of walking. I would not recommend this trip to people unaccustomed to long walks in hilly and sometimes unstable terrain. We hike in the mountains at home a lot so it was no big deal. Very beautiful views. We had lunch in a local village house, and then pushed on to our next homestay. Again, decent enough sleeping quarters and a delicious meal prepared by Duc. Our last day was a stay at the Tapas ecolodge and was this ever worth the money! Beautiful accommodations, great food, and 5 star views. Duc and driver then escorted us back to Lao Cai and we had extra time so they drove us to see the Chinese border! Cool! Duc then took us to the train station, waited with us, and personally escorted us to our compartment for the night trip back to Hanoi. As I stated in other reviews, we usually shy away from guided trips as we don't like being part of the herd, but seriously this trip was the opposite of that. 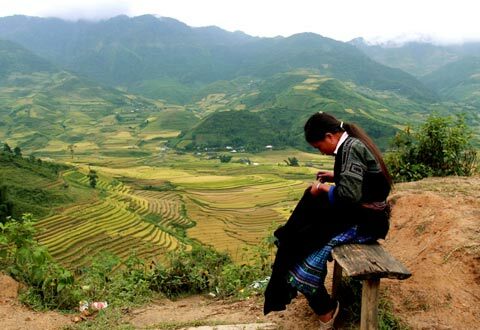 We left the tourists behind in the sapa valley and I really don't see how you could do this without having a guide. Other big thanks to our guide Duc who made the whole experience very memorable. I would very much recommend Duc and Active travel.